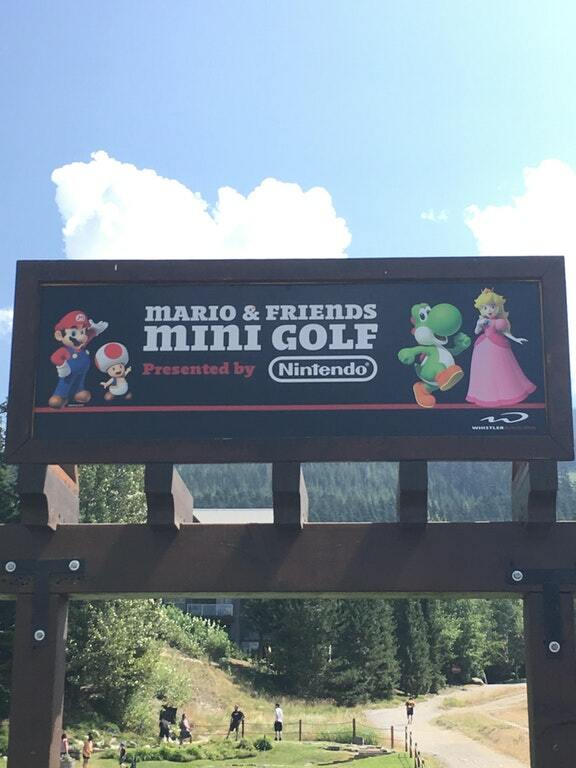 A golf course sponsored by Nintendo has been found in Whistler, Canada. 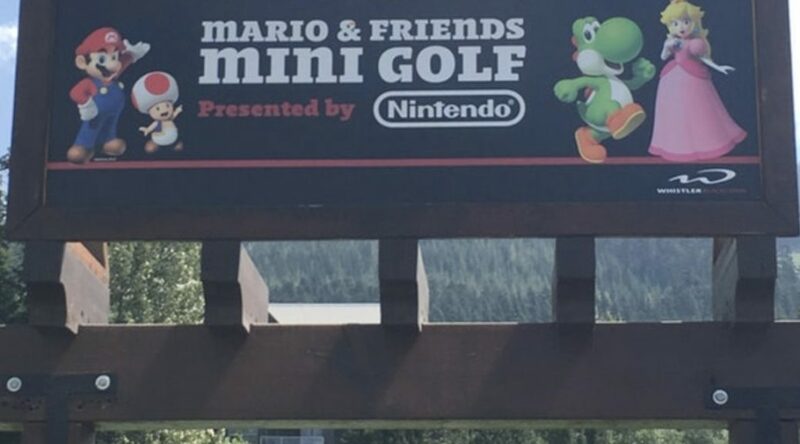 The entrance of the golf course features Mario and friends along with the title “Mario and Friends Mini Golf: Presented by Nintendo”. Each hole in the course is named after a Super Mario character. Other than that, it looks like a regular golf course.